There are so many groups that truly deserve credit for our classic soul week on the site, but I had to write about my favorite group from the 70s and very much so the 80s, the Whispers. The group is truly led by the brothers Wallace and Walter Scott, infamous for their handle bar mustaches. Formed in Watts out in California in the mid 60's, the group would start off dropping a few singles, before reaching a breakthrough with their song "Seems Like I Got To Do Wrong", which hit at the beginning of the 70’s. For the group, this would start a streak of hits, as they would release albums on Janus Records, ending their Janus Records run with one of their most solid albums, "Bingo". The "Bingo" album features the title track and another popular single "A Mother For My Children". The group would join Don Cornelius and his Soul Train Records, releasing "One For the Money" in 1976. They would keep the albums coming, with their final album on Soul Train Records titled "Open Up Your Love", before making one of my favorite albums in the 1978 released "Headlights" on their new label SOLAR Records. This album was special because it boasts two of the best songs from The Whispers ever: "All The Way" and "Olivia (Lost And Turned Out". Both songs were top 15 R&B hits, and rightfully so. The smooth soul of "All The Way" was unbeatable and the gritty, yet realistic subject matter of "Olivia" along with the rich harmonies behind it made it a true classic. Now, as veterans in the game, The Whispers started picking up more steam. They would hit big with their self titled album, which arrived in 1979, and garner a no. 1 spot on the Soul charts as well a platinum plaque for the album. This could be seen as a turning point for the group truly, as the huge singles "A Song For Donny", "And The Beat Goes On", and one of my personal favorite songs from the group "Lady", heated up the charts. With all these albums under their belt by 1979, some would say this is their true best album (their 9th release) and it is definitely in the debate for the best Whispers album. They would follow up their self titled platinum release with another successful album "Imagination", in 1980 which spawned the all time classic "It's A Love Thing" and earned them a gold plaque. The group would continue their run with yet another album later that same year "This Kind of Lovin" before knocking out the competition yet again with the 1981 release "Love Is Where You Find it", which features the hit singles "Emergency" and "In The Raw", but also features the legendary slow jam "Say Yes". This album garnered the group yet another gold plaque. By this time in their career, The Whispers were already marking a legacy and truly standing out as one of the most consistent groups. In 1983, they would release yet another classic in their album "Love For Love", which featured the mega hit "Keep On Lovin' Me", infamous for the "hey Scotty, yeah, what's that mean" break in the bridge. 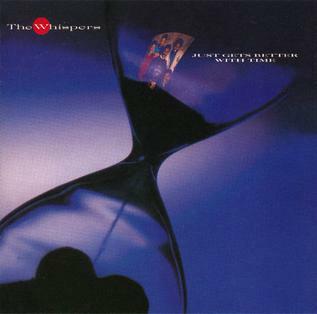 The Whispers have so many gems that weren't truly hit singles and this album features a few of those, but none greater than "Do They Turn You On". This song is masterful in execution and the hook is equal parts smooth and hilarious, with the instant quote "do they bring out the freak in you, or satisfy you like I do... all night long (do they?)". After the 1984 album "So Good", The Whispers seemed to want to take a break and they would not release albums for 3 years. This would break would prove to be vital for them as they prepared to come back. With their 1987 album "Just Gets Better With Time", the group would have their true biggest run and moment. 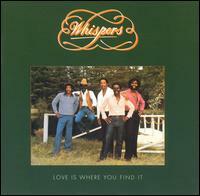 With a stream of hits on a truly flawless album, The Whispers experienced their finest hour here. With the Babyface penned "Rock Steady", the group produced yet another no. 1 R&B and soul hit, and their highest charting pop hit, at no. 7 on the pop charts. This was a huge deal for a group who was already 20 years in the game. 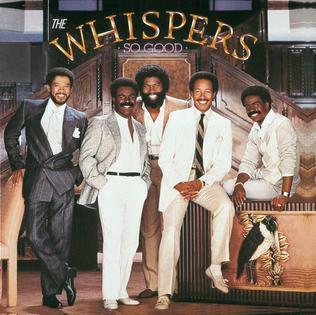 While none of the other singles would truly garner a big spot on the pop charts, The Whispers would dominate the R&B and soul charts with singles off "Just Gets Better With Time". With the songs "Special F/X", the title track, and another Babyface penned gem "In The Mood", the group would gain yet another platinum plaque for their mantel and many consider this album their actual best and it would definitely be in the running along with one or two others as far as album quality. At this point, with nearly 20 years under their belt and 15 albums, The Whispers were certified legends. In 1990, the group would produce another gold plaque with their 16th album "More Of The Night", gaining plaques for albums in the 70’s, 80's, and the 90's. This is truly an amazing feat without a doubt. The group would take a big break from making music and continue to tour here and there as well, but the run would officially end in 1990, signaling 20 years since their breakthrough. 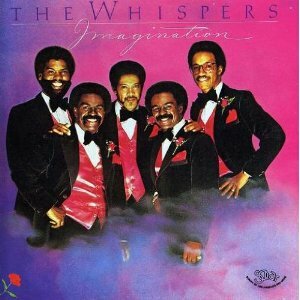 With all these albums, these hits, and a legendary catalog, The Whispers are truly one of the greatest groups ever. They should truly be recognized as such, and hopefully more will reflect on their greatness and truly appreciate it, if you don't already.